– July 2, 2012Posted in: SusieQ FitLife Breaking News, SusieQ FitLife Updates! Many thanks to everyone who participated in our Contest & Voted! It is official! 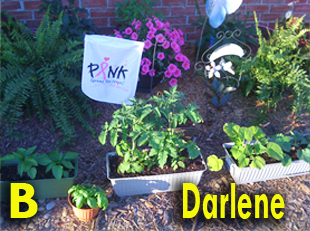 All votes have been tallied on Facebook from all the LIKES, Shares & Comments, since June 25th of our FitLife Garden Contest! Our Michelle Obama FitLife Winner is Christina Goldman, who just pulled the win out of the bag, just before midnight last night; including a vote from her husband Paul Goldman, who said “I vote for D Christina and her little dog too!”. Christina will receive a copy of the Michelle Obama “American Grown” book as well as the “Arms of a First Lady” DVD workout & a bonus 30min call to Celebrity Fitness Trainer, SusieQ! 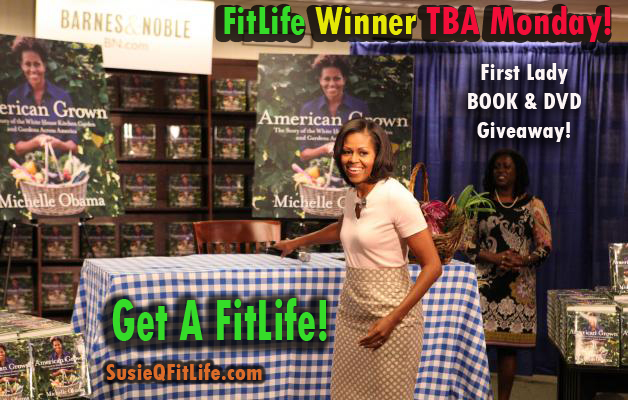 Due to the positive success & inquiries from New Zealand’s Normanlynn Charles, about this contest; that was generously presented on the Michelle Obama Fan Club Facebook wall, has us all saying “Repeat!” Stay tuned as you may have a chance to enter your FitLife Garden next month! Whoo-hoo! It was unanimous & the voting results are as follows (read detailed voting description @ bottom page): D: Christina- 11 Votes, A: Katy- 8 Votes, C: Eleanor- 2 Votes & B: Darlene- 1 Vote! The best part about this contest is learning more about YOU our FitLife Family Members; as everyone is a WINNER! See below as we find out more about our Contestants & their passion to create their perfect Vegetable Garden! Eleanor, says: Lavender/rosemary keeps my spirits up! Greek oregano adds spice! 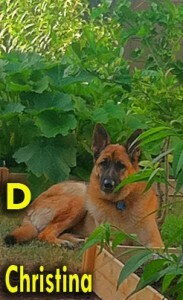 Gardening is tough when you’re ill, but it is too rewarding to give up altogether. Love life, love your plants! Darlene, says: Greetings to the FitLife Family, the garden pic is very simple. After being motivated by Michelle Obama and our very own SusieQ FitLife; I was inspired to do “something” with the families I am blessed to assist in our Community Volunteer Program. 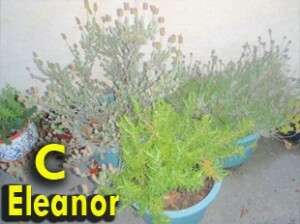 As most have restrictions where they live on planting a garden – or – have no yard space we started “Flower Box” gardens. Some may be a small herb garden on a windowsill and for those who have a bit more room we planted veggies in flower boxes. I’ve also worked with several local produce stands and they are assisting in providing cases of fresh produce as it comes into season at little or low cost. We are using this as an education tool to teach families the nutrition values of fresh produce and also how to freeze and/or can when they are in season to have for a later time. This weekend we had peas and strawberries. It was amazing to see children and parents shell their first peapod, taste a garden-fresh pea and then learn how easy it is to freeze them. 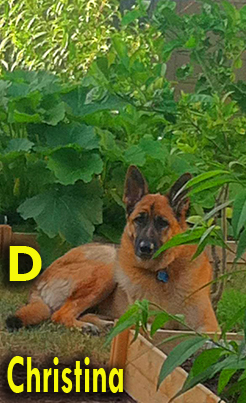 Thank you SusieQ this has become a very rewarding time – and we’re just beginning! Thank you, FitLifers for bringing LIFE to our SusieQ FitLife Family! 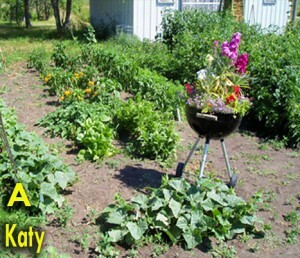 Stay tuned to next month’s Michelle Obama FitLife Garden Contest! The winner could be YOU! Get a FitLife! C: Eleanor Pickron’s Voters: Pinky Chalmers, Fiercely Fit. Michelle Obama Book & DVD Giveaway Contest Announcement! So happy for Christina! I know she will love her prizes. Thank you SusieQ for this wonderful motivational and inspirational contest. The inspiration our wonderful First Lady, Michelle Obama and yourself have provided truly made everyone a winner! Looking forward to our next exciting contest.